The Kid’s Hayride Cart is an exciting and welcome addition to your entertainment rentals. It provides a ride for pleasure in a wagon that is filled with straw and hay. 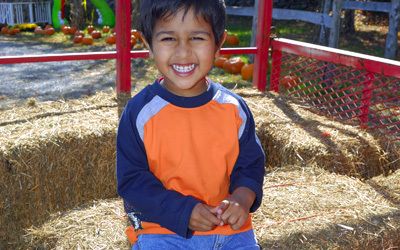 Kids are neatly seated in the walled hay cart that is pulled by a small tractor. 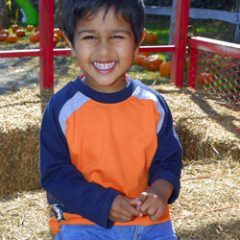 Watch kids enjoy the excitement and fun of a classic hayride that’s just the right size for them! 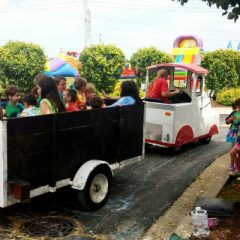 Celebration Authority’s Hay Ride is a pro quality Amusement Rental, perfect for Picnics, Festivals, Outdoor events, Family Reunions, Birthday Parties, Carnivals, Block Parties, Corporate Events, School Events, Halloween themed events, and much more!